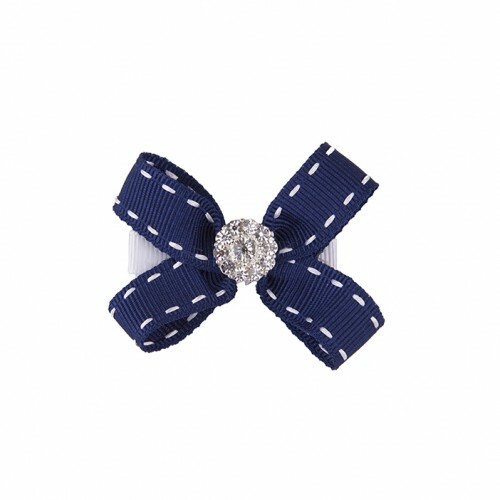 Black sheer bow with Pom Pom on a clip. 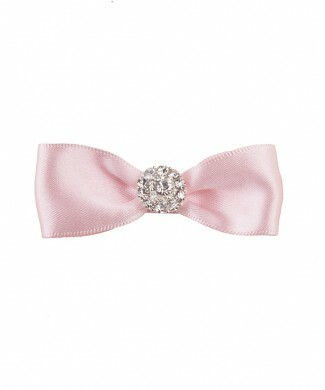 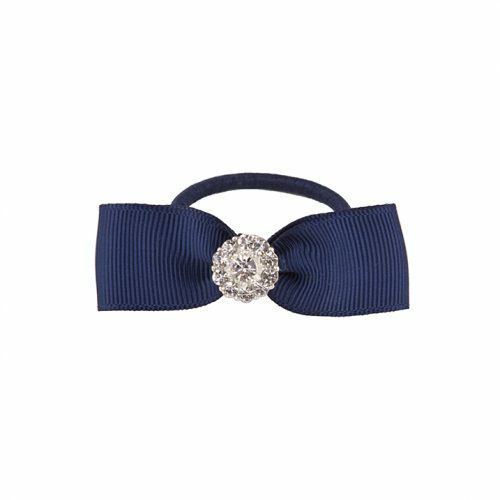 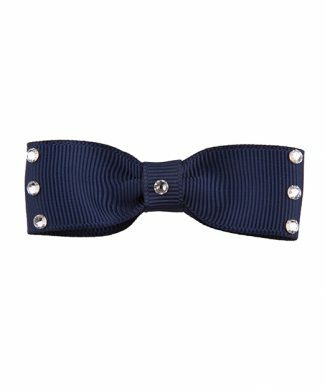 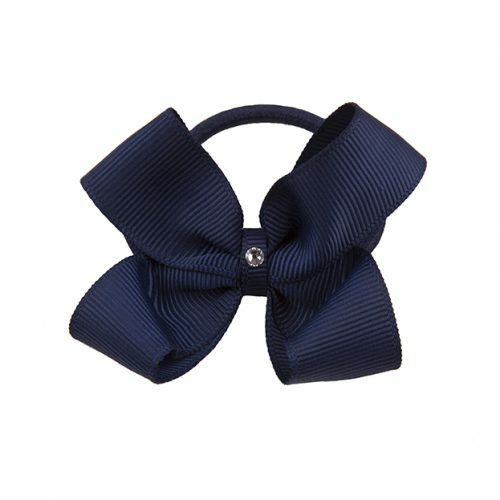 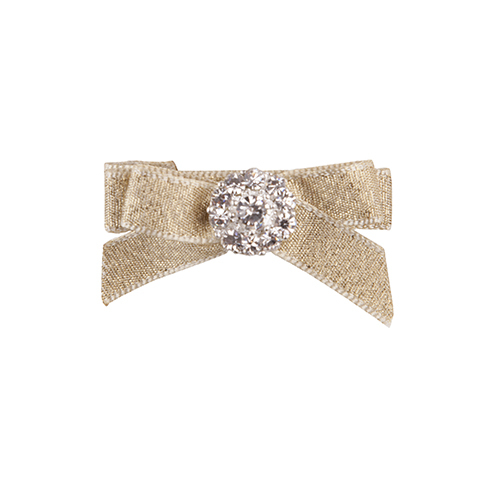 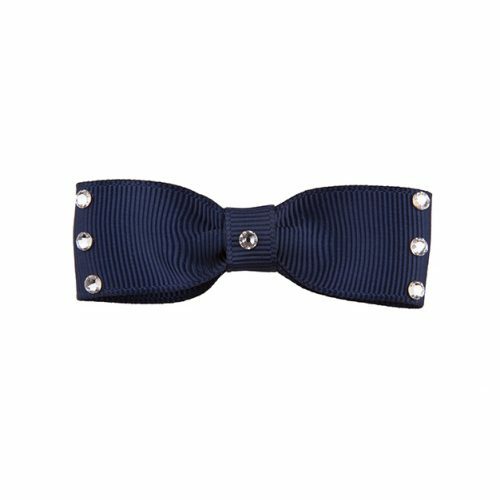 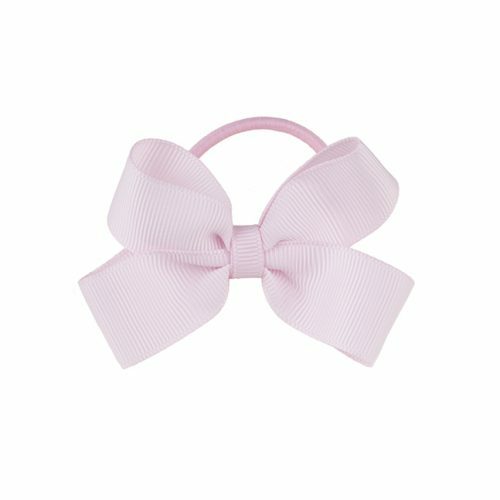 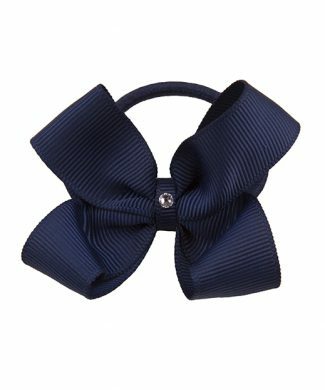 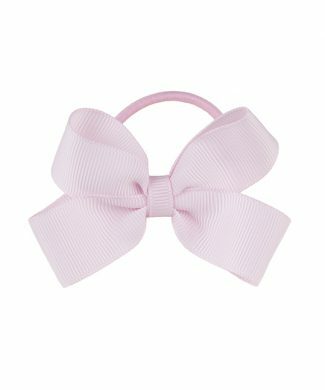 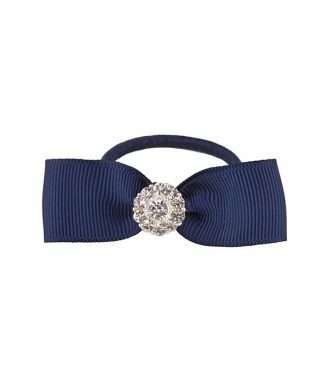 Double large grosgrain bow with square rhinestone on a clip. 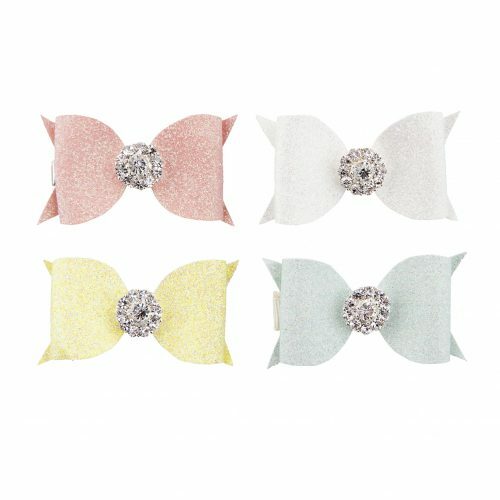 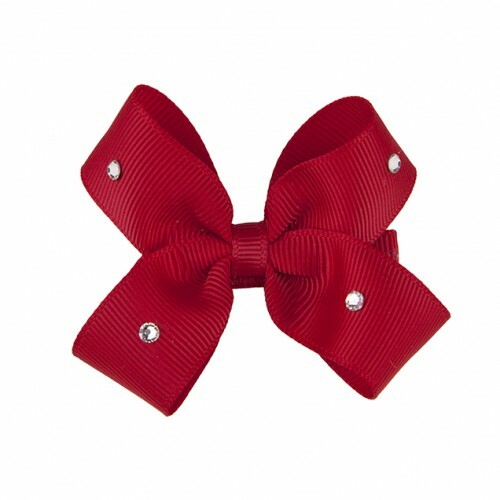 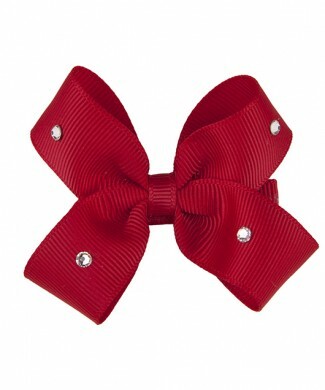 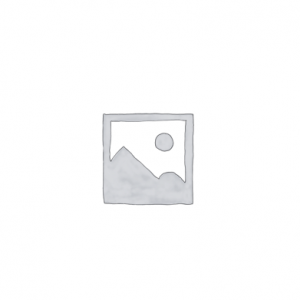 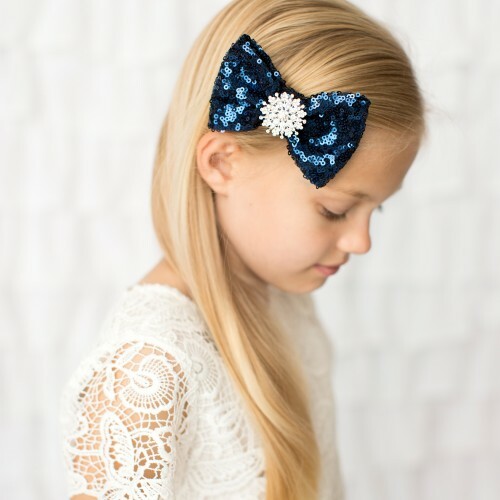 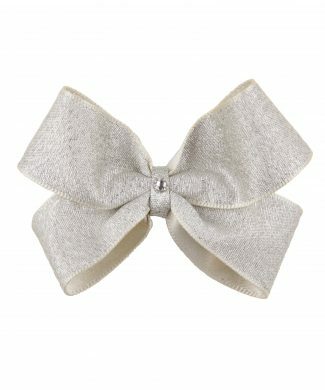 Small chunky glitter bow with rhinestone – choice of colours. 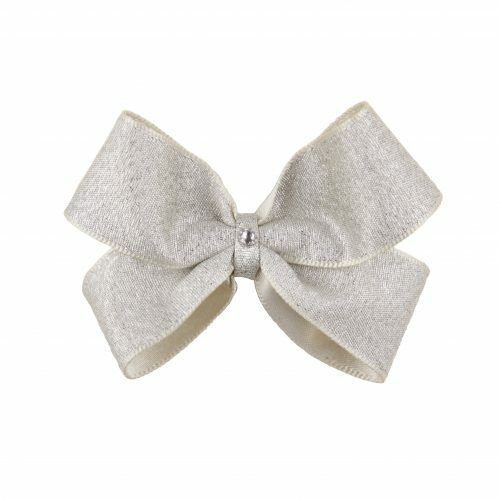 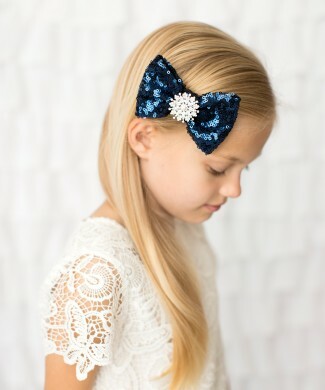 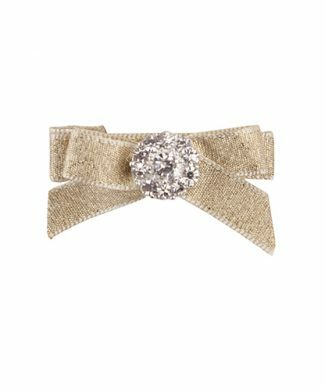 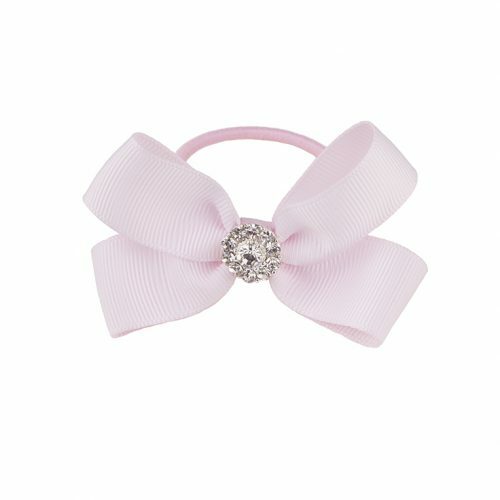 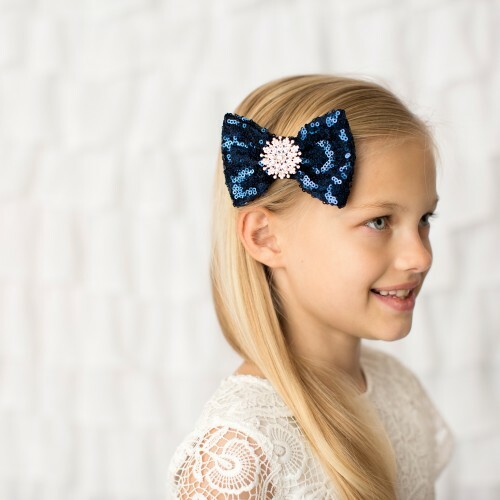 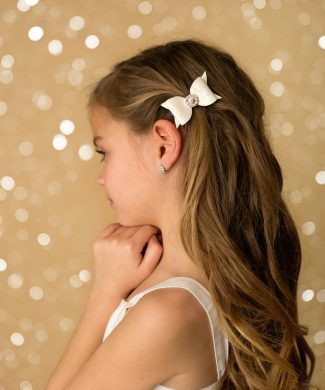 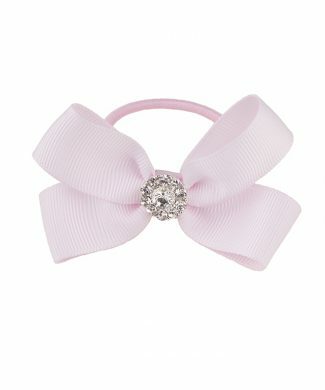 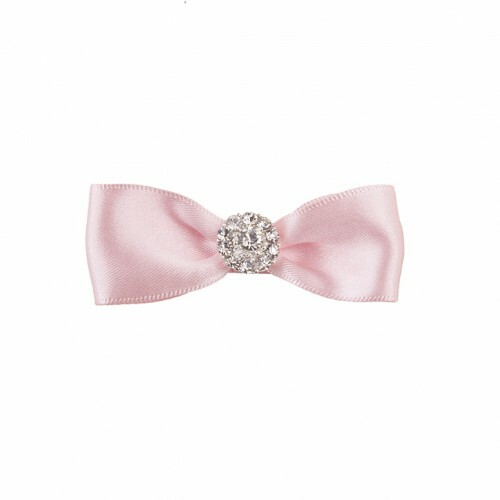 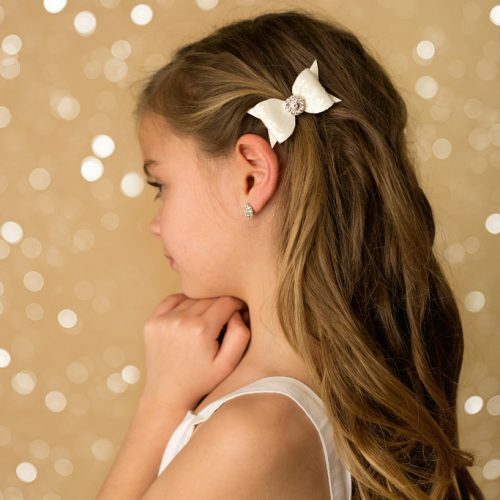 Silver satin medium double bow decorated with a Swarovski crystal on a clip. 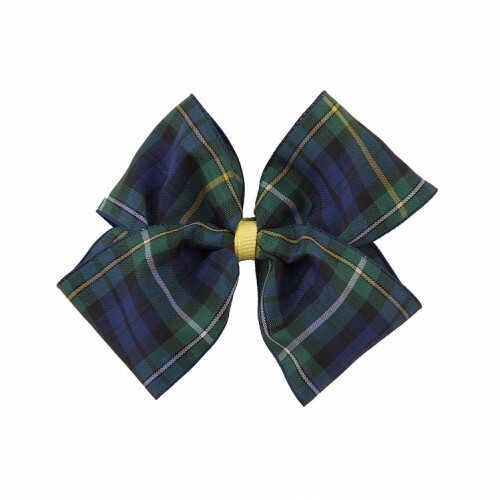 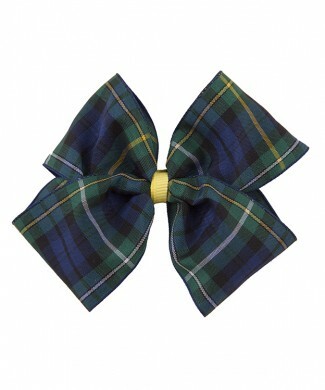 Large school bow in green and navy woven tartan on a clip.